Windstar Lines is proud to be an approved military carrier by the Department of Defense (DOD). We are proud to provide military bus rentals to the men and women that serve in our armed forces. 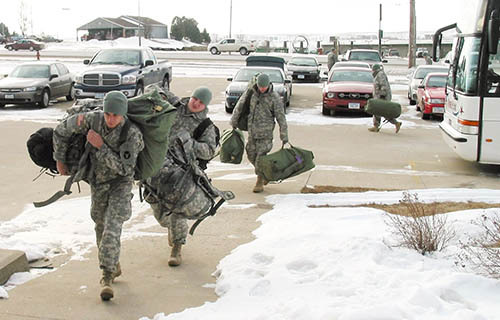 We provide Army bus charters as well as military charters to many other branches of service and government agencies. We have consistently received the highest rating possible from each Department of Defense (DOD) audit. We offer luxury 21 passenger minicoaches all the way up to our 56 passenger motorcoaches. Our VIP coaches are also available for military bus charters or government charter bus rental - including DOD bus charters and Army bus charters. All of our buses are equipped with a wide array of amenities. View our fleet to help decide which option will work best for you. Windstar Lines is a proud Military Bus Program member, meaning we are an approved charter bus service for troops and recruitment travel. The goal of the Military Bus Program is to ensure that our military is receiving the safest, most reliable transportation possible. Our commitment to safety, along with our consistent service, enables us to be part of this program, and we couldn’t be more honored to help those who serve our country on a daily basis. Click here to find out more about DOD Bus Charters or to submit a bid request. Click here for a copy of our DOD Certification.